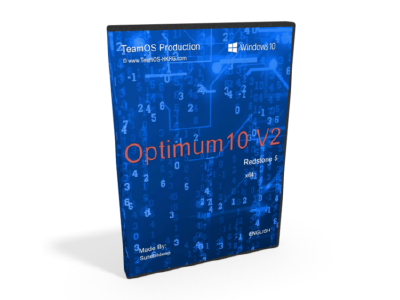 Torrent + Direct - Optimum10 V2 - [win10 Rs5 X64] :sunehildeep: | Team OS : Your Only Destination To Custom OS !! This build is specially made for gamers who want more performance in their games. You are really lucky on that one. Great upload. Would check it out on my vm and see how's it working. Thanks very much mate. @Sunehildeep can you seed this mate? Not downloading anything here! What Gaming Tweaks? Can You Explain? I love you @Sunehildeep can you please share what rs5 build? First version was 17763.55. Then 2 new build released by windows as 17763.104 and 17763.107. Which one? Thanks a lot sunehildeep, certainly try this. Will seed for 24 hrs UK time!! Hellooooo update working ?can i update to 17763.55 ? Thank you for another well received build. Appreciate your contribution and hard work. btw can i know what build is this ? Is there any way to get windows store back? btw if its for gamers why you didnt enable Ultimate Performance power plan? windows store removed once again... too bad..
woah newer version already up, hats off to you sir.